Manage Oily Skin - Ways to Fight Shine. Shine Free! Ways to Fight Oily Summer Skin. Shine is usually a problem if you have oily or combination skin, but when the weather gets hot, not even women with dry skin are spared from unwanted shine. Find out how to streamline your beauty routine and how to pick the right products for keeping your skin shine-free. Try the best ways to fight shine and keep your skin matte and beautiful all summer long with these helpful tips. Using too much makeup will clog your pores and increase shine, regardless of the weather. Using a good primer helps, but you should also try switching foundation for a tinted moisturizer or BB cream with a lighter texture. Mousse foundations are a better choice that those with a thick consistency, while a mineral foundation will keep excess oil in check. Including a toner in your daily beauty routine will make a big difference and it’s definitely one of the best ways to fight shine. 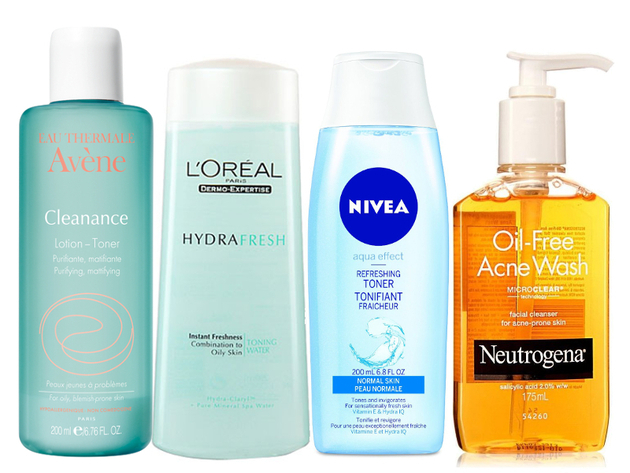 Good options to try include anti-shine toners made by Avène and L'Oréal or the Nivea Aqua Effect Purifying Toner. Alcohol-free toners are a better option to control shine more efficiently in the long run, since the skin won’t try to overcompensate by producing more sebum after it’s stripped away. Even if you don’t have an acne problem, cleansers that are designed to prevent breakouts also help control shine better than many other products created specifically for keeping your skin matte. Try the Neutrogena Oil-Free Acne Wash or any other light cleanser that includes 2% salicylic acid if you’re worried about shine. Instead of abusing powder to keep shine in check, start using blotting paper that absorbs the extra oil, while keeping your makeup in place. 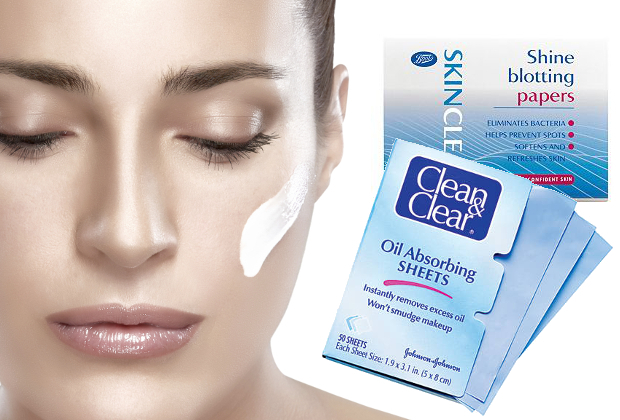 Good choices include Boots Skin Clear Oil Absorbing Sheets and Clean & Clear Oil Absorbing Sheets. Keep them in your purse at all times for a quick anti-shine solution. Forget about thick creams even if you have dry skin and replace them with a moisturizing lotion or even a hydrating serum. Using a good lotion or serum instead of your regular night cream is one of the best ways to fight shine. Try a light and oil-free formula with hyaluronic acid, a key ingredient which helps lock in moisture. One of the best ways to fight shine is using toner more than once a day. You can find plenty of portable solutions, like the Sephora Steep Clean Mattifying Toner Pads, which are specifically designed to keep shine under control. If you have to use powder to finish your look, always go for a loose one with translucent qualities. 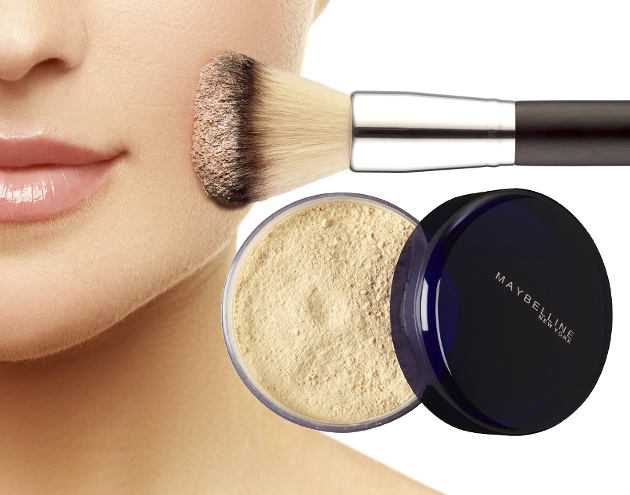 You’ll get better results with a powder that’s specifically formulated to fight shine, like the Maybelline Shine Free Oil-Control Loose Powder. Adjusting your diet to your skin’s needs is the right way to control shine and excessive oil production. This means saying no to deep-fried and spicy foods, and also restricting alcohol, coffee and all hot beverages in the summer. Vitamin A can help control oil production, so eat foods that are rich in it, including sweet potatoes, carrots, dark leafy greens, squash and cantaloupe. If you keep touching your face, you’ll spread the shine. One of the best ways to fight shine is to keep your hands busy and away from your face with the exceptions of your morning and evening beauty routine. If you do touch your face in the meantime, make sure you wash your hands thoroughly, so you don’t transfer more oil from your fingertips to your face.